There are 57 States in Africa (with one count for Spain and their presence in the disputed Plazas de Soberanía, examined extensively here). 41 of these are coastal states, abutting the Mediterranean Sea, Atlantic Ocean, Indian Ocean, and the Red Sea. Of approximately 90 potential maritime boundaries, only 29 can be considered established. To divide overlapping maritime space when there is no established boundary, provisional equidistance can be used to provide a picture of possible sovereignty outcomes should frontiers eventually be delimited. The count of 70 yet-to-be-established maritime boundaries is approximate due to the large number of disputed islands. Madagascar, for example, is bordered by other Indian Ocean insular States including Comoros, the French island of Réunion, and Seychelles. 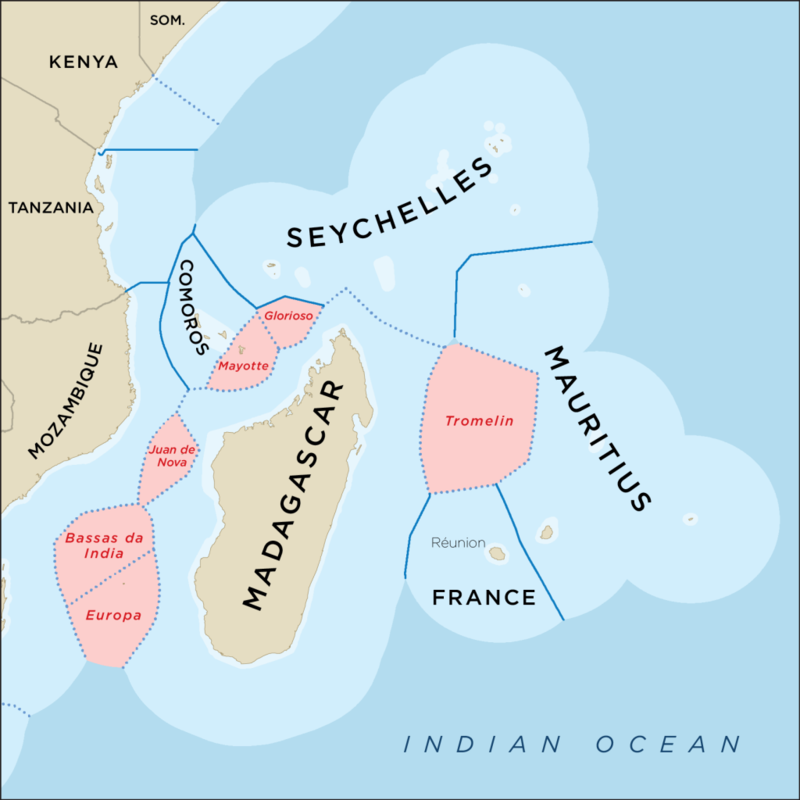 In addition to these established entities are the disputed territories of Glorioso Islands (claimed by France and Madagascar), Mayotte (Comoros and France), Juan de Nova Island (France and Madagascar), Bassas da India (France and Madagascar), Europa Island (France and Madagascar), and Tromelin Island (France and Mauritius). Madagascar could have as many as 14 maritime boundaries with opposite States or as few as 7 depending on how the disputes are resolved. As it currently stands, Madagascar has only one established maritime boundary with the French island of Réunion which was agreed to in 2012 and follows an equidistance line. Madagascar, disputed islands, maritime boundaries, and provisional equidistances lines. Some other notable African maritime disputes include one between Kenya and Somalia, which is currently being adjudicated at the International Court of Justice (ICJ). There are also overlapping maritime claims between Morocco and Western Sahara (Morocco claims all of Western Sahara) and between Namibia and South Africa, who have an extremely small maritime dispute that is an offshoot of their unsettled land boundary in the Orange River. If you want to know more about the provisional equidistance methodology, check out this post. The oldest established African maritime boundary is from 1913 between modern-day Cameroon and Nigeria. In 1913, the colonial powers of Germany and the United Kingdom, respectively, established a land boundary separating their African territories. The territorial frontier ends in the thalweg of the Akpa Yafe River, and the colonial powers agreed to extend this out to sea. In 1971, independent Cameroon and Nigeria formalized the colonial border so that it continued from the land boundary terminus (LBT) in the mouth of the Akpa Yafe River for 11 nautical miles (M) (points 1 through 12) and then, in 1975, the two Parties again extended their maritime frontier for an additional 15 M (points 12 through G). In the 1990s, relations between the two States became strained due to a vast territorial dispute that bled over into their maritime space. The conflict was submitted to the ICJ. The resulting 2002 Judgment resolved the dispute and further delimited their maritime boundary, leaving all but the tripoint with Equatorial Guinea fully delineated. 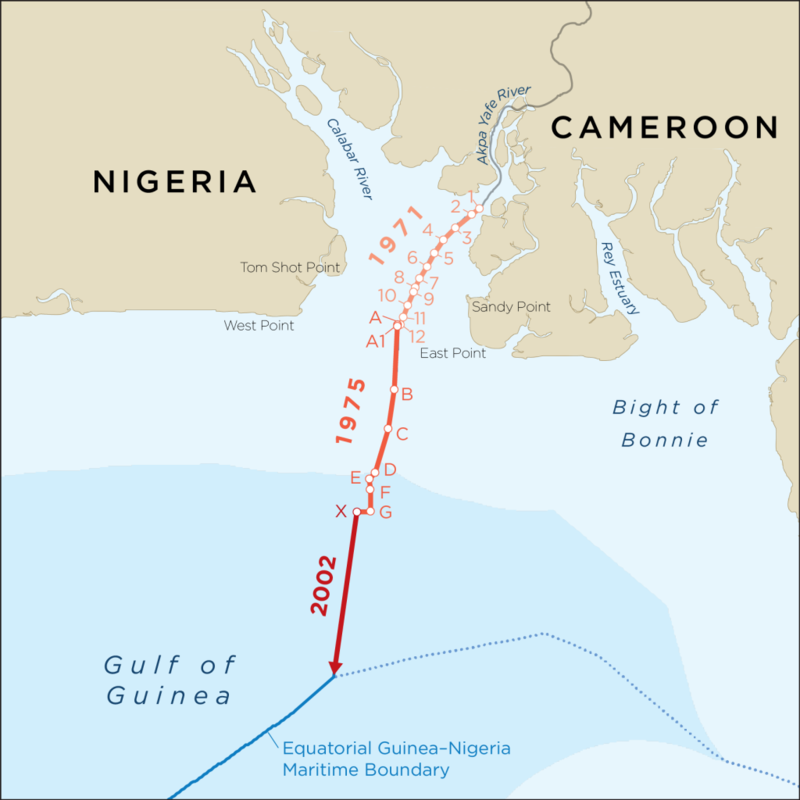 In 2007, a Cameroon–Nigeria Mixed Commission transformed the turning points for the entire maritime boundary into WGS-84. The maritime boundary between Cameroon and Nigeria. The runner-up for oldest established African maritime boundary is between Guinea-Bissau and Senegal, which was established by Portugal and France in 1960. Similar to the border between Cameroon and Nigeria, it was arbitrated by a special Tribunal in 1989 and then adjudicated by the ICJ in 1991. The most recently established African maritime boundary is between Côte d’Ivoire and Ghana, which was delimited in a 2017 Judgment by the International Tribunal on the Law of the Sea (ITLOS). Before the dispute began in the 2000s, the two Parties had generally adhered to a “customary equidistance line.” But after large hydrocarbon reserves were found just on the Ghanaian side of equidistance, Côte d’Ivoire began to claim a maritime boundary based on the bisector methodology. The Tribunal ruled in favor of an equidistance border because there were no special circumstances which required a deviation from a median line to produce an equitable result. 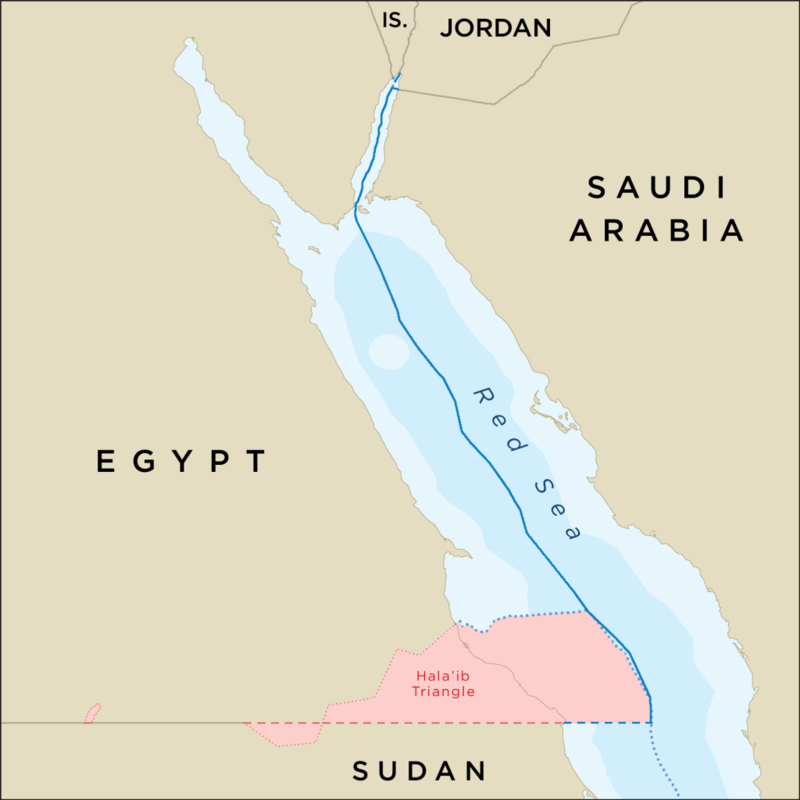 The second most recently established African maritime boundary is between Egypt and Saudi Arabia, agreed to in 2016, though Sudan disputes several points along the southern end of the line offshore from the disputed Hala’ib Triangle. The maritime boundary between Egypt and Sauid Arabia. Sudan disputes the boundary adjacent to Hala’ib Triangle. The shortest African maritime boundary is between Seychelles and Tanzania at only 21 M, while the longest is between Italy and Tunisia at 590 M. The runner up for shortest is Cameroon–Nigeria at 40 M, and the second longest is Mauritius–Seychelles at 484 M.
As African States came into independence in the latter half of the 20th century, much progress was made in delimiting maritime space. There is, however, many boundaries still to be made and maritime disputes to be resolved.